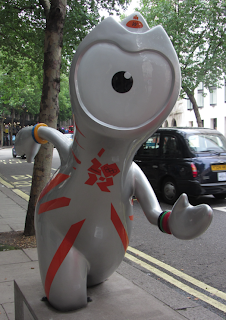 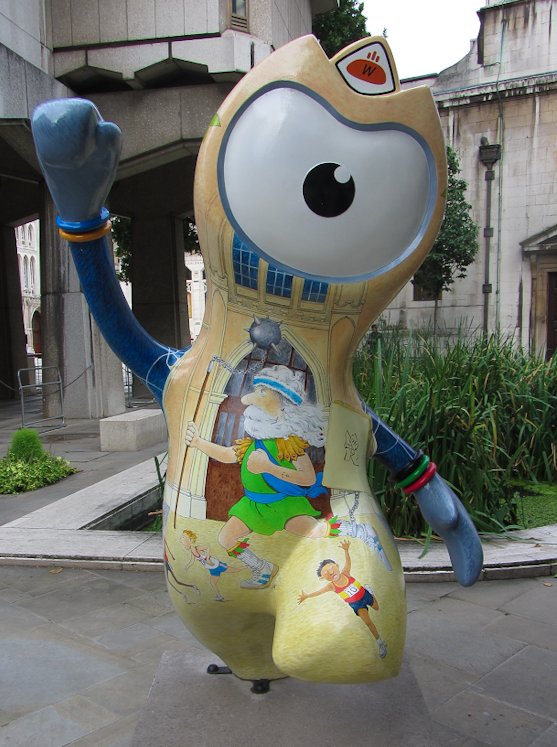 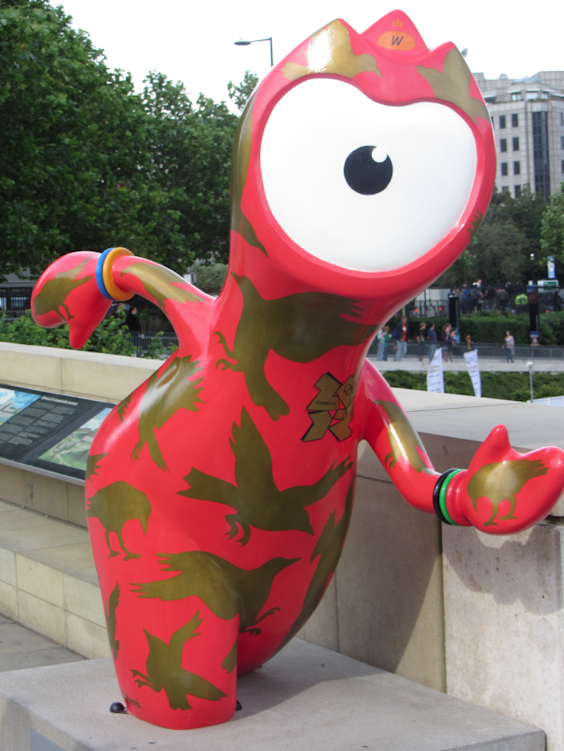 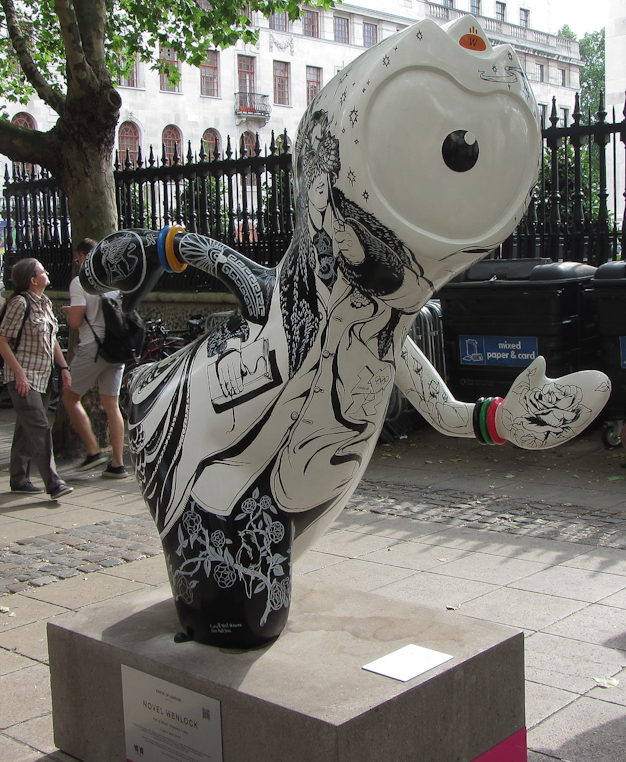 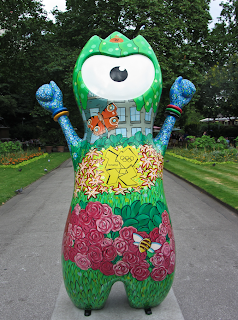 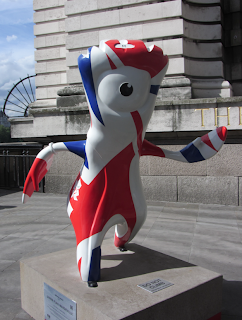 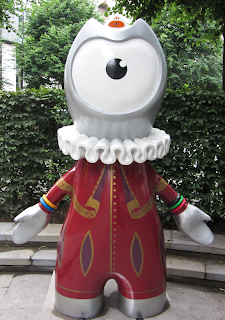 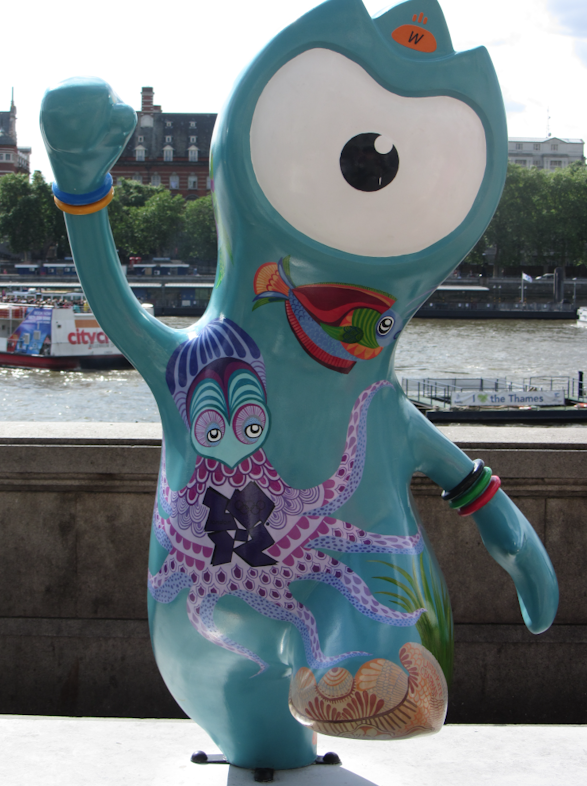 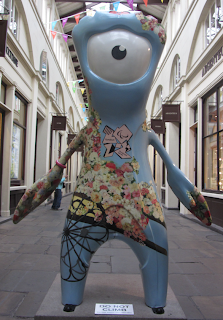 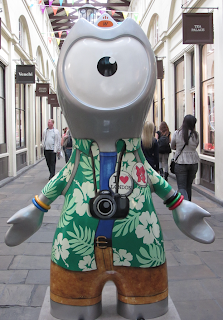 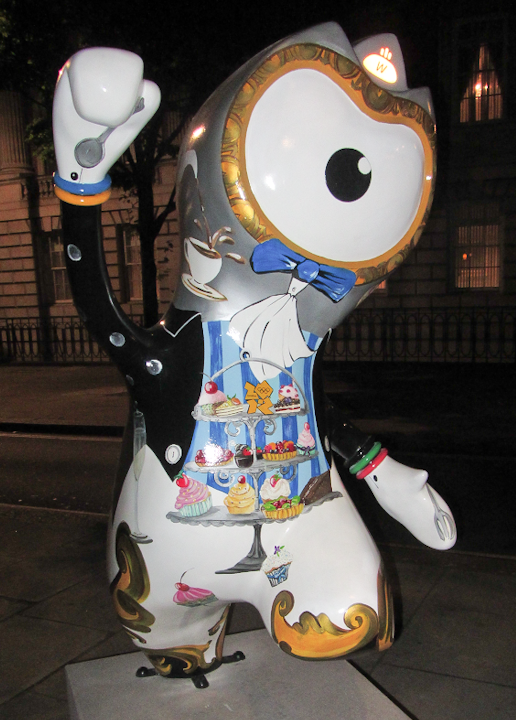 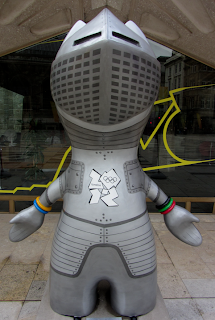 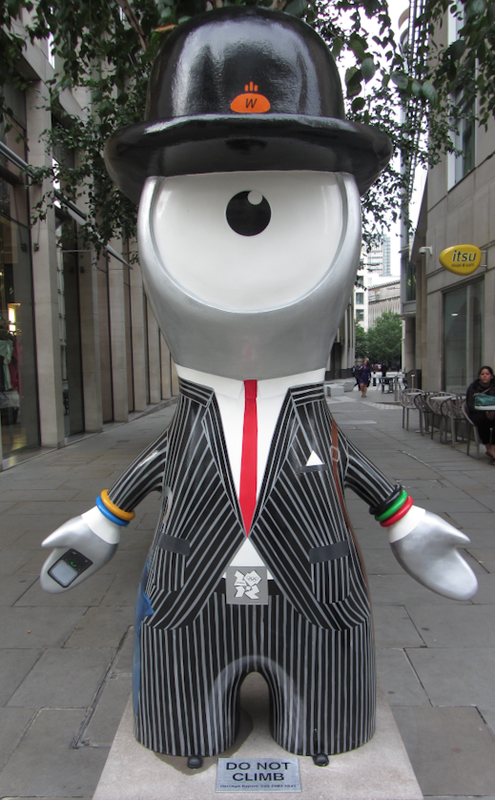 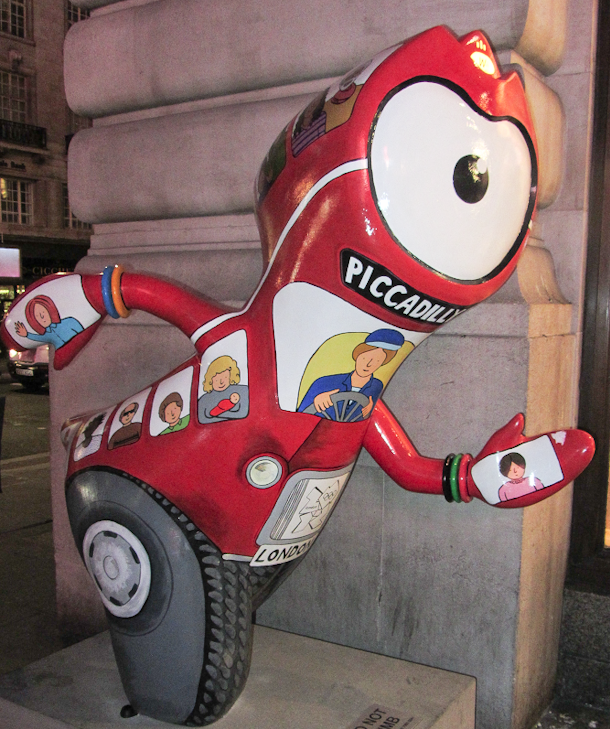 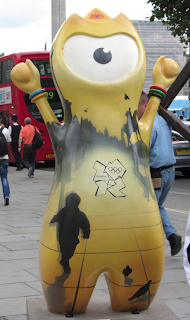 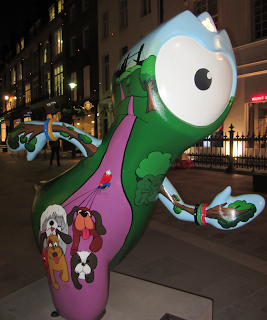 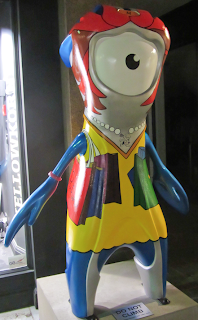 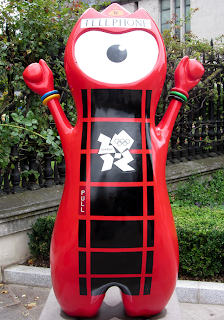 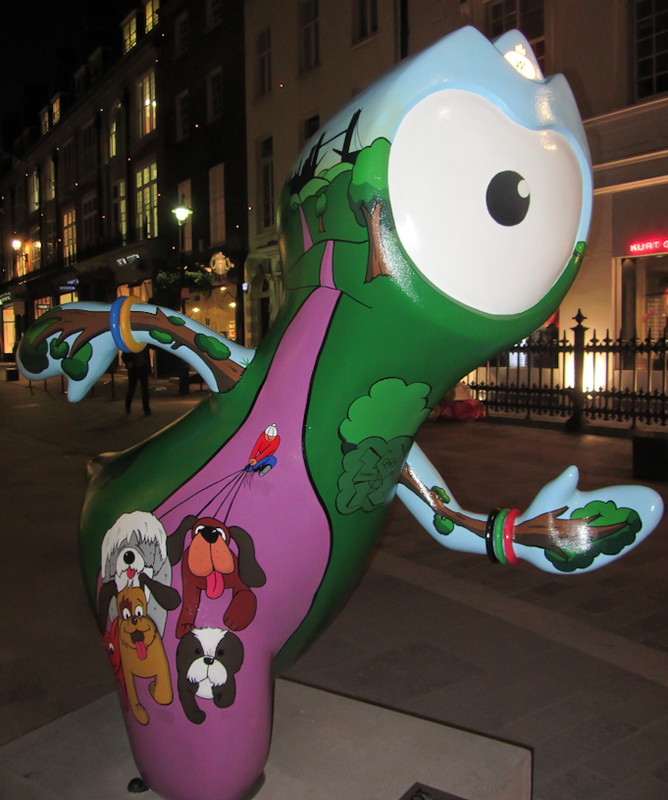 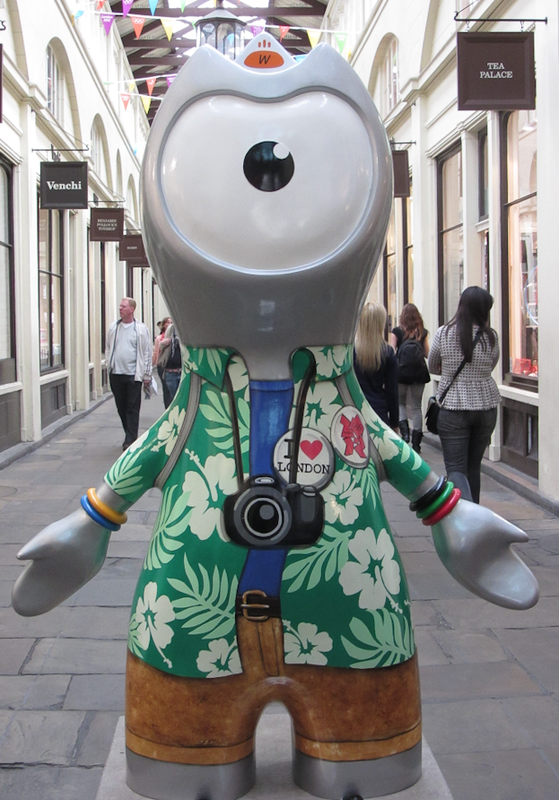 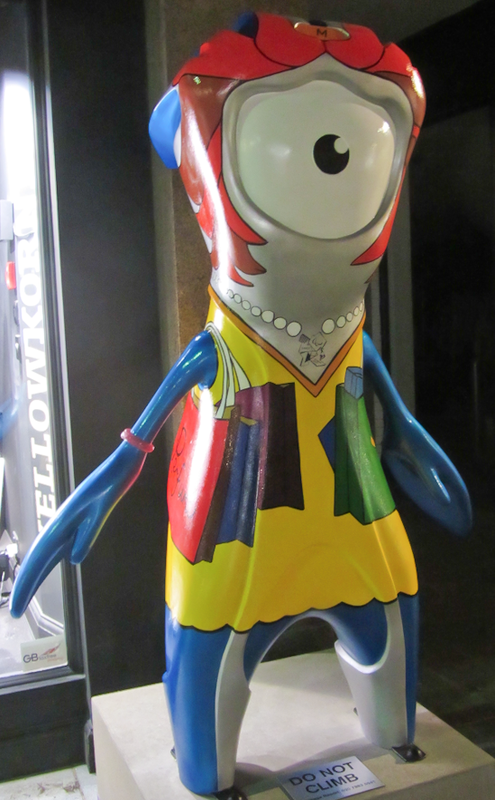 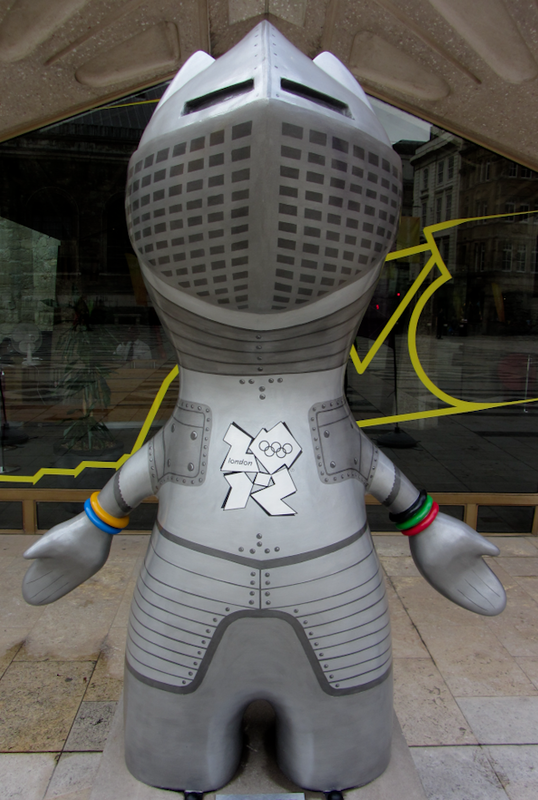 Finding Wenlock and Mandeville - London Olympics 2012 Mascots ~ Learn, Live, and Explore! 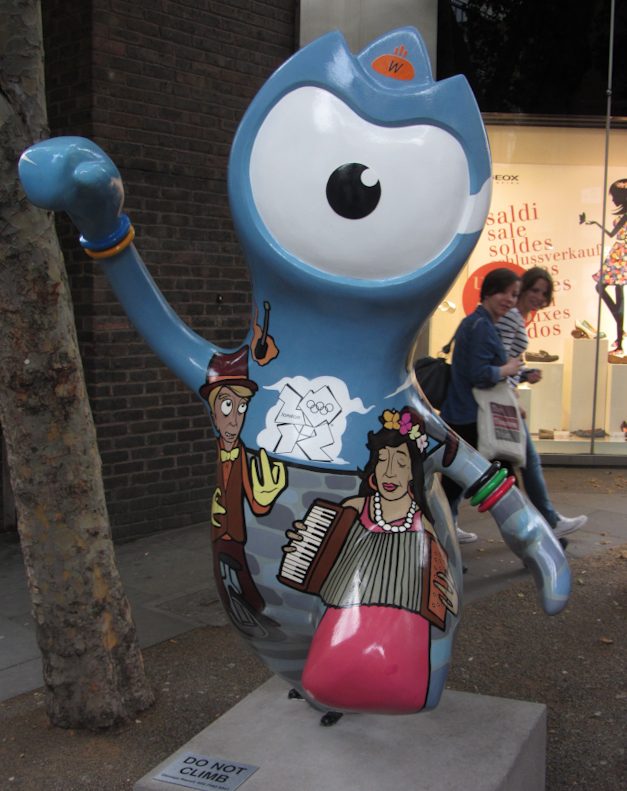 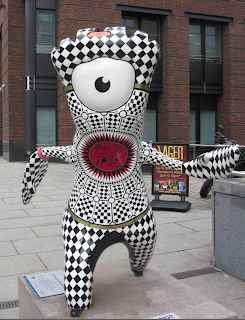 If you head to London for the Olympics, you may come across one of the 83 statues of the Olympic mascots - Mandeville and Wenlock - painted to depict a special point of interest in the area, to represent a piece of London's history, or to embrace the Olympic spirit. 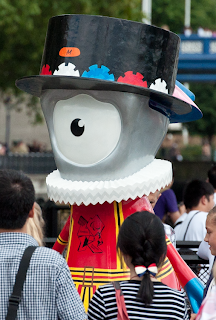 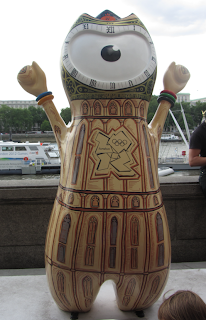 Wenlock was named after a town in Shropshire, England called Much Wenlock. 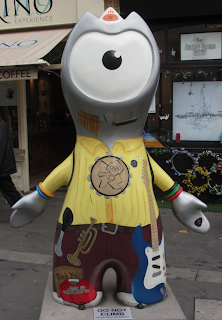 It was in this town that a forerunner to the modern day Olympics was established in the 1850s called the Wenlock Olympian Society Annual Games. 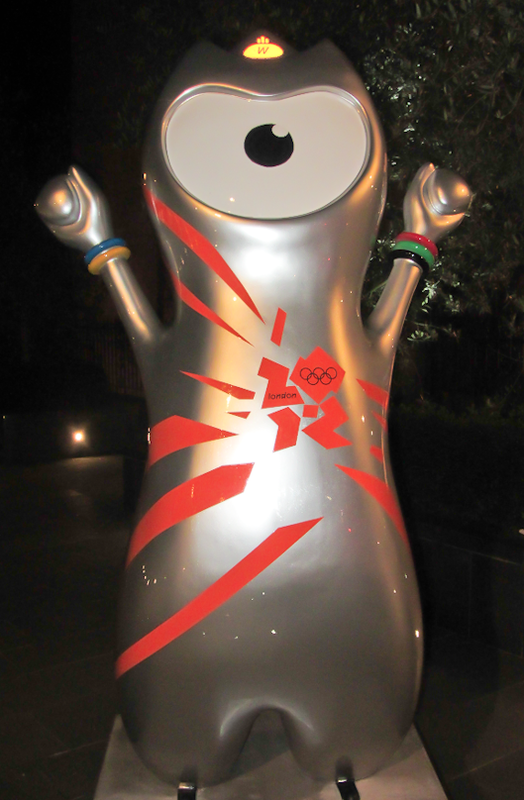 Wenlock is the mascot for the London 2012 Olympic Games. 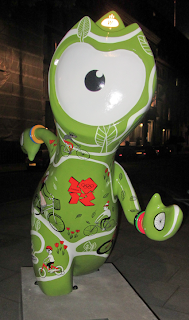 Mandeville was named after Stoke Mandeville Hospital in Buckinghamshire that developed the Stoke Mandeville Games, a precursor to the Paralympic Games. 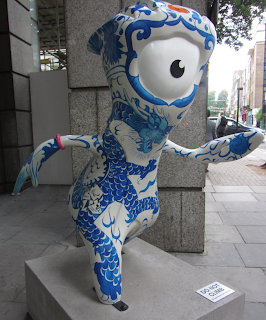 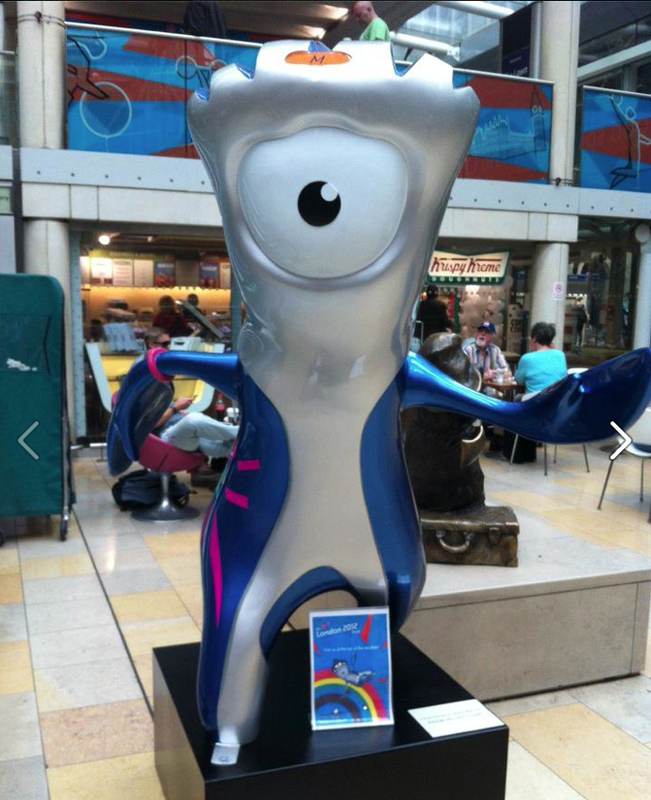 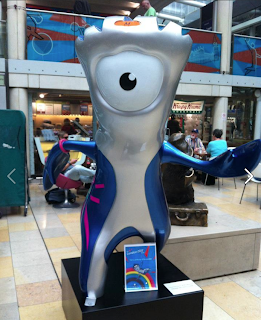 Hence, Mandeville is the official mascot of the London 2012 Paralympic Games. 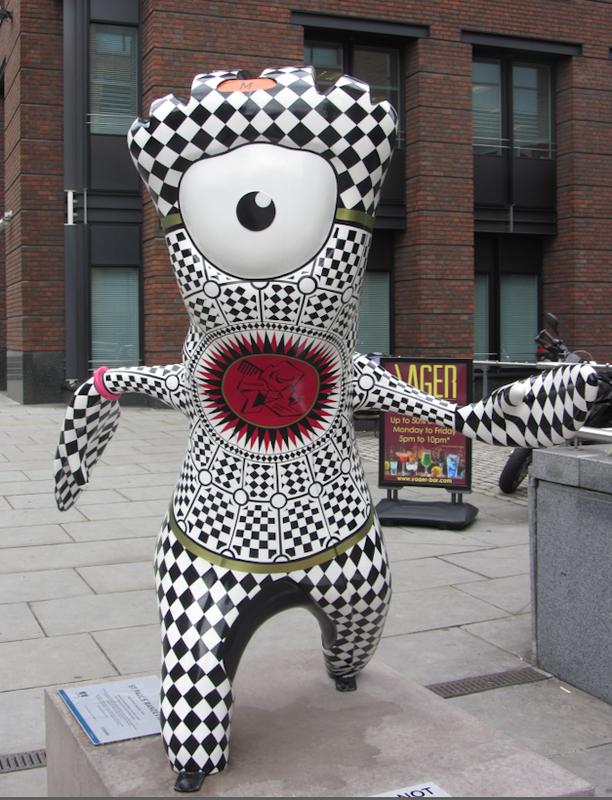 These cyclops statues are placed on the Mayor of London's six different discovery trails that are walking tours of various neighborhoods that embody the sights and sounds of historic and modern London. 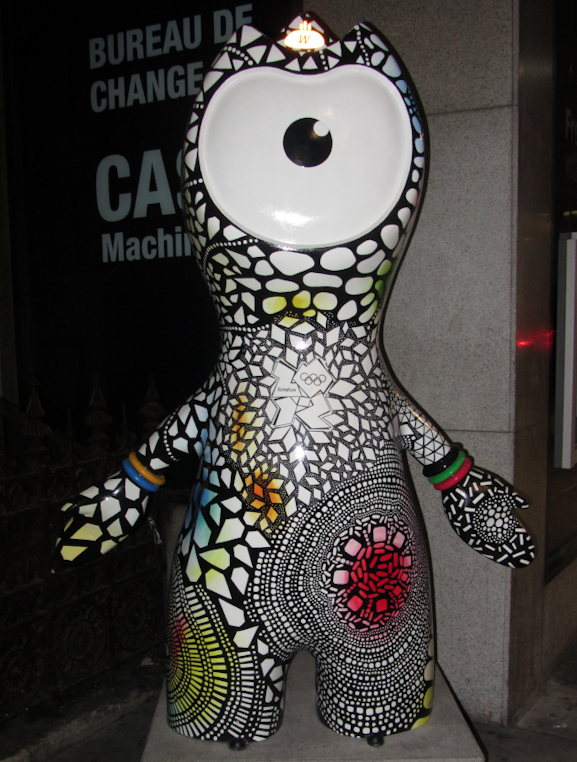 Once I saw my first statue, I had to document, through photos, the discovery of as many as I could while I was in town!! 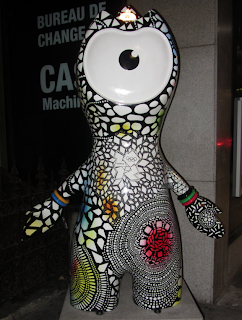 I ended up stumbling upon 28 of them! Try to figure out where they were based on the photos below.